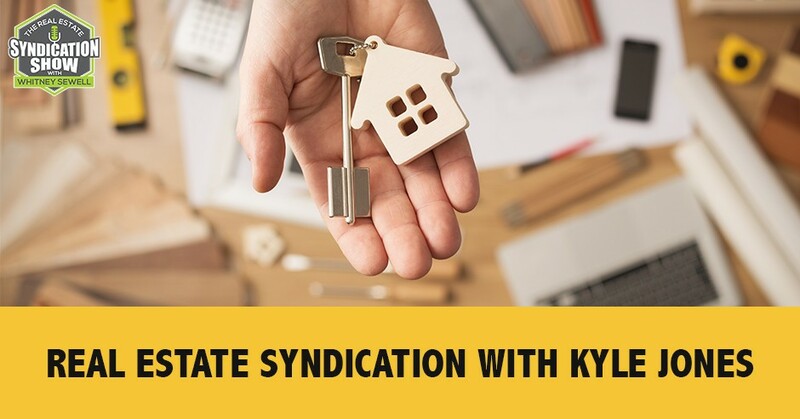 Kyle Jones, co-founder and Key Principal of TruePoint Capital, LLC, takes us to the world of the syndication business in real estate. As a Global Sales Leader for a large Fortune 100 technology company and responsible for revenue attainment of over $250 million worldwide, Kyle has the experience and expertise to share about the ways to scale and raise money. He takes us from the beginning of his journey towards being involved in real estate syndication, sharing the five different syndication deals he has had to this point. 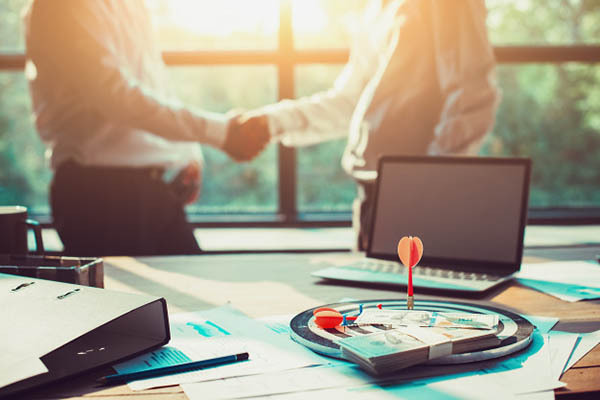 Going deeper into his most recent deal, Kyle gives some buying criteria that could help identify whether a deal works or not. At the same time, Kyle shares advice to those who want to get into the syndication business while showing some of the hardest parts that he has been through. Our guest on this episode is Kyle Jones. Thanks for being on the show, Kyle. Thanks for having me, Whitney. Kyle primarily works as a global sales leader for a Fortune 100 high tech company where he is responsible for revenue of $323 million worldwide for a specific product. He also owns a residential appraisal company that is on track to gross about $300,000 in the second year of doing business. He and his wife are also key principals in about $12 million worth of real estate, which they have acquired through multifamily syndications. Kyle doesn’t have much to do. I left off my three young kids and a traveling job as well, in addition to that. It’s fun over here. I got to hear Kyle speak at a conference. I know he was doing some deals and that he’d be a great guest. Tell the audience who you are and a little more about what you’re doing and what you’re focused on in this syndication business. I’ve been in real estate overall for probably five to six years now, early on much like many folks focused on single-family. I did some accidental flips in a sense where we purchased a couple of houses with the intention to live and do renovations. We found some buyers and then parlayed that into a buy and hold as well. From there, I became turned on to scaling the portfolio and looking at how we can do that. As you know, multifamily and apartments is a big way to do that. We had a couple of things that happened that really turned me on to ultimately working towards this whole concept of financial freedom and replacing your expense. The goal is to replace your income and keep growing from there. I’m essentially right in the middle of that as I like to say and I’m still actively trying to do deals even in this type of market. It’s certainly taking a lot longer to find the right deal when we come across it, but we’re usually ready to act pretty quickly when we can just because of the experience that we’ve been able to come up with so far. Tell us what your company’s doing, maybe a little history of how many deals you’ve done. Tell us about a deal you’re working on. We started just self-funding our own deals. I knew I wanted to eventually move into syndication where we’re actually raising capital and providing opportunities for investors, but before we made the plunge into that, I wanted to do a couple of deals on my own. Through some savings, we were able to acquire some smaller multifamilies fourteen units, 21 units and little properties that we’ve been able to bring up, stabilize, bring occupancy up and do some renovations. Manage asset personally from that perspective. From there, once I felt comfortable enough, I started looking at ways to scale and how to raise money. Fast forward and skipping a few steps, we parlayed that into essentially five different syndications. We’ve been able to build the portfolio up to about a $12 million portfolio and counting. We’ve been focused in and around the southeast part of the US and some specific markets that are showing signs of growth that have a lot of economic drivers that are coming in also, population growth and job growth. We’re moving into some other markets where we’ve been focused on networking and trying to uncover deals. It’s taken some time. Specifically, we’re looking at the Atlanta market or other parts of the Carolinas. I’m based in Houston but I haven’t paid much attention here just because of the prices and compressed cap rates. We’ve got a deal we’re about to officially go into contract on in Atlanta that will be our largest acquisition, which is about a 250-unit property. Let’s talk about one of the deals. We can talk about that one or maybe the one you just closed on. Could you give us some history on it and I’ll have a bunch of questions? This was a deal that I’m really excited about. It’s in a market that probably not a lot of people are paying attention to. It’s in the Gulfport-Biloxi, Mississippi area. I like it because they’re doing a port expansion project and we’ve seen another port cities when they actually make the investment into expanding the port, which basically means just making it wider and deeper for larger ships to come in. That brings some larger companies to put larger distribution centers that are close by. Mobile, Alabama is very close. It’s about 45 minutes from Gulfport-Biloxi. They went through the port expansion project. They brought in Airbus and Walmart. Amazon has a very large regional distribution center there. We feel we’re on the early phases of a little bit of an emerging market, but the main thing that I liked about this deal is it’s right around 100 units. It’s C-Class only buy vintage, meaning the year that it’s built, but it’s in an A-B area. It’s in a major thoroughfare, main and main for Gulfport and tons of traffic up and down there. I went down there and as part of my investor package, I took the time to make a two-minute video just showing how much traffic was literally at the corner of our property because it was so impressive, right off Highway 49, which is North and South, straight out of the airport and the Port of Gulfport itself. The other big thing that I like about this in addition to the location is that it was a true 6.5%, 7% cash-on-cash return in year one without making any improved elements. We were also buying it at a discount with undervalued rents and our appraisal approved that as well when we got that back. Since the transition, when we acquired that deal, we’ve already started to look at ways to increase rents. Frankly, we haven’t had to push any tenants out. Physical occupancy is the high 90s. We have two units of all a hundred that are not pre-leased. We’re looking at going ahead and going with the renovation plan for one of those and then testing the market for the other one as is. We’re getting ready. With the rent-ready unit, we’re looking at an increase of about $75 to $100 premium because it’s below market. That’s without doing any renovations, doing a true rent-ready turn, cleaning up and getting the trash out. We’re excited about the upside. It’s severely undervalued. The last thing is it’s truly a very clean property. The previous owner self-managed it, but didn’t really manage it very well from an operational standpoint. They did take care of all the deferred maintenance. There wasn’t a whole lot of that. The roofs and plumbing are in good shape and everything else. I’m excited about that. It’s through previous broker relationships. The previous deals that we closed were all with the same broker. To tell a bit of a story there, after we had closed on those initial deals, we were talking more about what they had in the pipeline and he invited me out. He said, “We’re going to look at Pensacola, Mobile and Gulfport. Why don’t you come out? You can ride along.” What I didn’t know is that this was the first time he was meeting with the owner of this property. He said, “You’ve got to pretend you’re with a brokerage. They don’t know.” It was really cool. Ultimately, it was a testament to closing deals, building rapport with the broker and there’s nothing special and no secret about it. It’s just a matter of getting on a plane, getting out there and getting boots on the ground. I know you went through those many things, but what’s some buying criteria that you have to say quickly that this deal works or it doesn’t? Real Estate Syndication: You can move the equity back towards a more favorable general partner if they start hitting the return metrics. I think with the markets that I’m looking in, I can tell because I’m familiar with most of the markets and we’ve already acquired deals there. I can actually take a look at the rent roll and see if there is value in the rents based on the type of property it is. Also, it’s knowing what the asking price is. 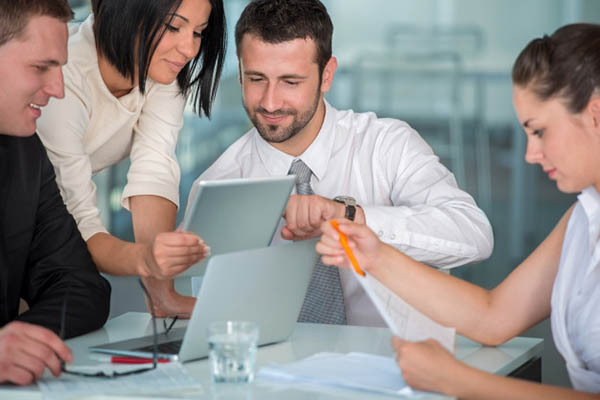 From there, if it starts to meet the criteria, we’ll go in and do a full-blown underwriting process where we’ll take the actuals, plug it into our model and then tweak the expenses. Nobody tends to add a reserve account, so adding a reserve account for self-managed properties, we’ve got to add in the property management fee and take a look at payroll as well and just line it up with what we know we’re paying for our payroll and making sure that it adds up. It’s adjusting the expenses that way, and obviously insurance and property taxes too. All that said, we want to see that there’s a story there around increasing rents through renovations when that’s puts out in the model. Generally, I can get investors excited on over the course of a five to seven year business plan with a 15% IRR, but I usually focus more on the cash-on-cash returns because he investors that I work with are more concerned about cashflow and cash-on-cash than IRR generally. We’re looking at anywhere from an 8% to 10% cash-on-cash return through the life of the deal. How much capital did you have to raise for this deal? Tell us about how it was structured and maybe why it was structured the way that it was. Generally, in the past, we just do straight equity splits with 80% to limited investors. When you say straight equity splits, break that down a little bit for us. It’s quite common in the industry to offer a preferred return. You’re saying that you’re guaranteeing X percent. 8% generally seems to please investors. Instead of doing a split plus a preferred return, we’re doing higher equity to the investors of 80%. When you offer a preferred return, you typically see maybe a 70% equity split to investors or even 60% in some cases. You then get into offering KPIs around where you can waterfall that down, meaning you can move the equity back more favorable towards a general partner if they start hitting those return metrics. For us, I’ve found that just doing straight equity, meaning all we do is offer equity. 80% to the investors, 20% in general partners and no preferred return, has been a way that we can still tell the story through them hitting their returns and meeting criteria that we’re trying to set for ourselves. If you think about it also offers more upside to the investor on a deal that performs very well for straight equity because they’re getting more equity versus just hitting their preferred return. On this deal, we went with an 85%, 15% split. We even gave them an extra five points of equity. We did that because Gulfport was a newer market for us, so we haven’t done a deal in Gulfport yet, but we felt very confident with our team in place and the property manager that we’re leveraging. They’re very experienced. They have been in business for several years. They started as a developer. They had developed a lot of the properties in Gulfport, Mobile and Pensacola area. They knew the market very well and they already had some sister properties in the area that were actually achieving some of the higher rents that we were using as comps. They’re not in an as good location as we are. Do you provide a larger portion to the investors to try to encourage more investment? We do things a little bit different than what you see in the norm. We allow non-accredited investors to invest as well and we generally set the minimums at $50,000 going out and then we assess where we are. On occasion, we’ll take a minimum of $30,000 for an investor that is hungry to do a deal just to get the experience. I personally feel that offering a straight equity split offers more alignment between the general partners and the investors, especially in a time where we’re buying deals that in many cases could seem they’re overpriced. If you offer a preferred return as a general partner and the deal starts going south. Let’s say you’re not able to pay out the 8% year one through three, essentially that means that the general partner is definitely not getting paid at all in many cases. They could throw their hands up and say, “We’re done. We’re moving on. We’re going to sell the deal.” You as the investor are still going to get all your principal back or you’re going to get the first distributions with a preferred return, but that may not bring you back up to an 8% pref even on the sale. The general partner might be selling the deal a little bit early and not realizing the true actual returns on a preferred return. That’s how we overcome that objection because there are a lot of people that are doing deals with the preferred return. When we talk to it that way, it generally puts them at ease. Just because somebody is offering a preferred return doesn’t mean it’s a guaranteed return. What’s the business plan going forward with this property? With this one, we’re going to continue to renovate the units as we can. We’ll see where we are with the market as is when a unit does become available. Ultimately, we want to take the average rents up by about $100 to $150 from where we are over the course of three years. We then projected a sale at year six. We’ve got debt on it to take us to a twenty-year term, but the plan is to sell or refinance between year six and seven. Tell us about some ongoing management that you’re having? What’s important that you’re doing to make sure all this happens? We’re busy getting through the transition process from the previous manager. We’re uncovering some things that always seem to surface at transition versus due diligence in many cases. Nothing major has come up. It’s still pretty straight forward from what we knew we’re getting into due diligence. The main thing that we’re dealing with is tenants come out of the woodworks when they find out there’s a new owner and they have a laundry list of problems that have never been fixed and all these great ideas. We’re open to taking a look at those as needed. If they have maintenance issues, we address those immediately, but that’s not always the case. We’re still actively working through the transition process. From there we’ve got a project plan that we’re actually putting together as well. We’re going in and looking at all the leases, trying to get a handle on which leases are coming up for expiration over the course of the next twelve months so we can get an idea on how many units we can potentially turn in the next twelve months. Real Estate Syndication: If you’ve got a high interest in getting involved, look for a way to add value through any type of skill set. Kyle, if you’ve got somebody, they come up to you and say, “I really want to get into the syndication business,” what do you tell them? For me personally, it was all about digging in and taking action around it. I started with studying, reading books, listening to podcasts and then I started talking to people. I started reaching out a lot of these podcast guests that are on all these types of shows who are more than willing to have a call with you. I actually took the liberty to reach out to a lot of them when they provided their contact information and just talk to them about how they got started. From there, I took the knowledge that I had gained there and ultimately started to meet with brokers. I go out and try to meet people face-to-face. Thankfully in my corporate life, I have a flex schedule where I do work from home majority of the time when I’m not traveling. I can go out and see some of these markets on my own dime and meet with brokers. Ultimately, brokers want to know that you’re a real person. If you’re talking to a broker in another state, in another city, because maybe you live in an area that is overpriced or it’s harder to find deals, go look in other markets. Just make sure that you show some initiative. That in combination with your knowledge that you’ve gained will show them that you’re a serious person. What’s been the hardest part of the syndication business or process for you? I am talking like I’ve got deals out my ears. It’s still pretty challenging to make sense of a lot of deals, much like a lot of other folks. It’s hard that when you’re getting close to a deal, not to waiver off some of your criteria, but it means the world to your investors when you can go tell the story. All of our investors are questioning how we’re being conservative and how we’re underwriting conservative. Being able to tell a strong story around that is very critical. For example, this Atlanta deal, they’ve seen year to year rent growth in the range of 5% to 7%. Our underwriting has modeled that too and we’re still able to hit some of those key returns that we’re projecting. It’s little things like that. I’ve got a few things going on in my life that thankfully they bring income to me, but I’m really big on leveraging other people’s skill sets. You do that by finding good partners. What that means for me in the real estate world is leveraging other people’s skill sets who have the ability to raise capital and handle investor relations. They know how to communicate with investors. That allows me to be focused on finding the deals and structuring the deals and then leverage their skill set to help with the capital raise. After we close the deal, I can focus more on the asset management piece. Even then, I’m in the process of working with a friend of mine who I’ve met through the business who has a strong skill set in asset management. He’s definitely more hands-on, spreadsheet-driven and everything else, which I can use a spreadsheet, I know how to run the models. I’ve gotten to know the underwriting process, but taking the information from the property manager and actually putting in it to a form that makes sense to an investor to communicate it out. Handling taxes and a lot of just mundane tasks, this individual is very good at that. That’s something that I’m essentially looking to him to handle for all of our properties moving forward as long as he wants to. I’m still involved in the asset management and the strategic conversations and weekly meetings, but I’m not doing the groundwork if you will. I have to go back to taking action. For me, I haven’t done anything special in the sense that nobody else could do themselves. I got on a plane, I went and drove properties with a broker. I spent countless time with the brokers. I spent hours upon hours in many cases that’s accumulated just getting in front of them. That’s led to off-market deals. This Atlanta deal is a true off-market deal. We’re buying it undervalue for where our comps are. We can see that with the CoStar reports. It helps me acquire another pocket listing, which is more where the broker’s getting ready to list the property, but maybe I and a couple of other people have access to the deal. It’s put me in a good position. On that Gulfport deal, I wasn’t even in the highest bidder. I was the third highest bidder, but I had done deals, I had built rapport with this particular broker and he ultimately gave us another chance to prove ourselves. Is there a need in your business that you’d like to put out to the audience? I may open myself up, but I’m always willing to partner with good people who can bring value in any capacity. I feel like I have a good handle on sourcing deals, structuring the deals and putting them together. If you’ve got high interest in getting involved, you look for a way to add value through any type of skill set. If you know people who have a high net worth or if you have a knack for marketing and maybe you can help with the investor presentation or things like that. I think that’s how you ultimately can get your foot in the door to talking to existing folks who are doing deals and finding a way to bring value to them. We’re always looking for people who can partner up with bringing their groups of investors and handling investor communications. I give back with my time by mentoring school-age kids who signed up for a new program through the local school district. They’ve matched us up with a school-age kid anywhere from elementary to high school in some cases and I think I’m about to get matched up with a high school kid. It’s just spending time with them. Generally, these people come from families with a single parent type background and then various charities. We give back a lot to our local church financially. I like to partake in that stuff as well. We’re always looking to give in certain ways to different charities and people in need. Kyle, tell the audience how they can get in touch with you and learn more about your business. The marketing firm that I’ve hired is getting my website up and running. It’s www.TruePointCap.com. My email address is KJones@TruePointCap.com. You’ve done five syndications and don’t have a website, is that right? It’s hard to believe, yeah. Everybody thinks a website is the first thing you’ve got to have. It’s nice, but I think it’s awesome. We bootstrapped it. We just pound the pavement. Kyle, thank you so much for your time and providing your expertise and content to the readers. We appreciate the audience being with us and I hope you all will reach out to Kyle. 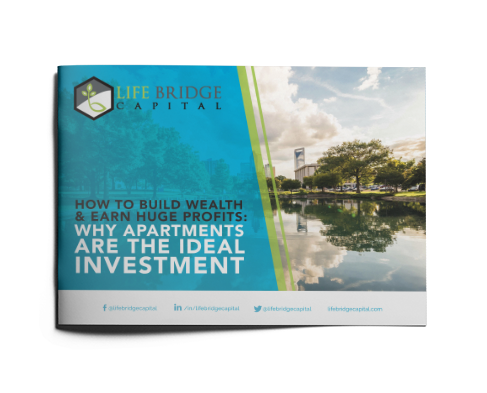 Also, go to LifeBridgeCapital.com and connect with me and also go to our Facebook group, The Real Estate Syndication Show where you can network with people like Kyle and ask questions or submit questions for me that you want me to ask on the show and we can grow our businesses together. Thanks again, Kyle. Kyle primarily works as a Global Sales Leader for a Fortune 100 High Tech company, where he is currently responsible for revenue of $323M worldwide for a specific product. He also owns a residential appraisal company that is on track to gross about $300,000 in the second year of doing business, and lastly, Kyle and his wife are also currently Key Principals in about $12M worth of real estate which they have acquired through multifamily syndications.